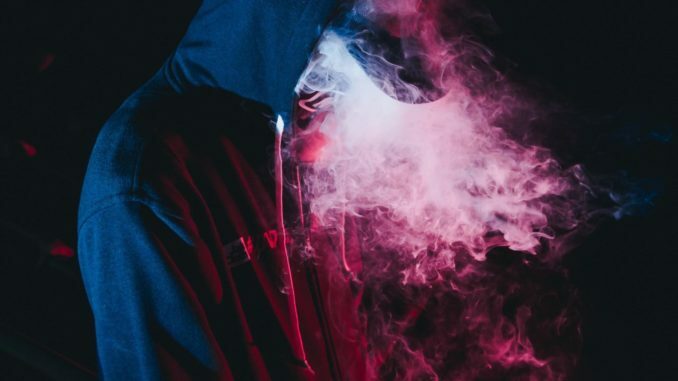 Vaping continues to grow in popularity among smokers because it allows them to control nicotine levels, enjoy limitless flavor options, and eliminates dangerous combustion byproducts. At this point, we all know that tar and carcinogens occur when we smoke cigarettes. Thankfully, we can avoid a majority of this with vaping. Vaping isn’t only for nicotine smokers, however. Vaping is also an ideal delivery vehicle for cannabis. Now that many US states and countries all over the world have legalized both recreational cannabis full of THC and non-psychoactive CBD, vaping is king. See our full article on mouth to lung vs. direct lung vaping for cannabis. Even a brief view of the potential and benefits vaping offers to both nicotine and cannabis smokers reveals a need for easy to use options for both markets. Nicotine smokers have long enjoyed plug-and-play vape systems that are affordable and incredibly easy. Now cannabis users can avail themselves of the same technology with pre-filled vape cartridges. You may have seen these pre filled vape cartridges at your local dispensary and wondered what they are. These cartridges contain cannabis concentrate (either THC, CBD, or a combination of both) and a vape juice medium. We call this THC infused vape juice or CBD infused vape juice. The vape juice changes the consistency of the cannabis concentrate. This is necessary because most are too thick for common vape pens to handle. There are several advantages to using THC infused e-juice or CBD enriched vape juice over traditional smoking methods. There are even advantages infused e-juice holds over other forms of vaping. Why cannabis-infused vape juice is superior to smoking cannabis. Most people are aware that smoke contains carcinogens and tar which we inhale into our longs along with active cannabinoids. These cannabinoids are the ingredients in marijuana that make us feel good and deliver health benefits. Anything else within the smoke is at best unnecessary and at worst, harmful. What many don’t know, however, is that vaping is actually a more effective way of taking your cannabis. Cannabinoids inhaled as vapor pass into the body far faster than smoked cannabinoids. 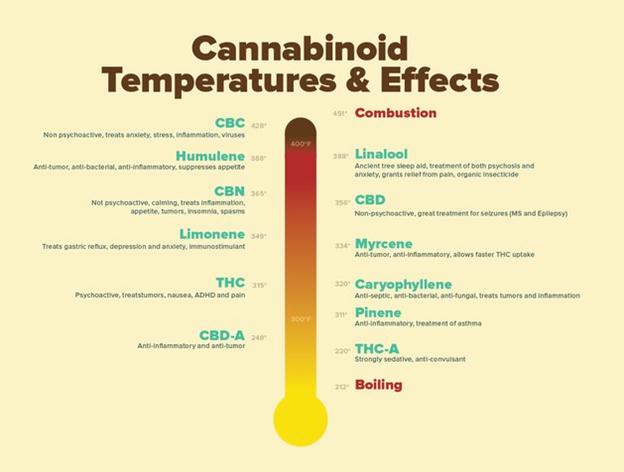 Furthermore, vaping at safe temperatures leaves more cannabinoids active for inhalation in the first place. Choosing to use CBD in vape pens delivers powerful medical marijuana to patients who suffer from seizures. This delivery method is faster than any other dosing method. We won’t go into great detail here about the many medical benefits of cannabis, but do understand that vaping is the fastest way to get these benefits. Unfortunately, there are some drawbacks to using pre-filled CBD cartridges as well as THC cartridges. First of all, these products are difficult to find if you live far away from dispensaries. While online shopping is an option, merchants aren’t always upfront about potential interstate laws that make shipping risky. Another concern is that using prefilled cartridges means giving up any control over the quality of the product inside. Fortunately, WoahStork solves a lot of these issues by showing you vape products in your area in just a single click. Try it out here. Frankly, users are leery of these mysterious, closed systems and that prevents them from obtaining the purest way to take their cannabis. Finally, there is an easy and affordable solution to all of these problems surrounding prefilled vape cartridges. With minimal effort, you can create your own cartridge by simply mixing a vape juice solution that is specially formulated to thin the consistency of cannabis concentrates with the concentrate of your choice. This provides users with complete control and full knowledge into what they’re vaping. How can you make your own pre-filled vape cartridges in the privacy of your own house? Keep reading for foolproof directions to make a THC infused vape juice or CBD enhanced e-juice. You can even blend a mix of both to suit your needs and taste. You’ll be shocked by how fast and simple it is to do this and you’ll appreciate the advantages of making your own carts immediately. You’re literally your own cannabis cartridge mix master, with full control over the quality of your concentrate, CBD distillate, and flavor enhancers. You can even control the potency of your blend. Let’s talk about flavor for a moment. There are 6 flavors of Wax Liquidizer to choose from including an unflavored option. This brings you unparalleled variety. The next important benefit is the cost savings you’ll reap from the smallest amount of effort. Spending 5 minutes making your own special mix will save you potentially hundreds of dollars. Let’s see the breakdown in action. The average cost of pre-filled vape cartridges is $45 for .5ml of cannabis vape juice. In most areas of the US, you can likewise get an entire gram of concentrate for the same $45. By simply adding 2ml of Wax Liquidizer to that $45 concentrate, you can make enough e-juice to fill 6 cartridges. Quite simply, that means you’re turning $35 worth of shatter or wax into cartridges that would cost you $210 at the dispensary. That doesn’t even take into account the value of controlling your own potency, product quality, and flavor. Even though leading cannabis information source, 420 Pony, voted Wax Liquidizer their 2016 Product of the Year, we’re still shocked that many have never heard of this easy way to make more cartridges for less money with this innovative product. Watch how Wax Liquidizer works with all tanks, pods, forms of cannabis concentrate, vape cartridges, atomizers. We’re so excited to introduce you to the wonderful world of Wax Liquidizer, we’ll give you 10% off your first order just for mentioning that you saw us here on WoahStork.